Sanibel Island Real Estate, Captiva Island Real Estate - Fort Myers River Front Living! Fort Myers River Front Living! This listing is an incredible home near Sanibel Island. Located in the Iona area of Fort Myers, this majestic home offers a pool, spa, riverside patio and your own private tennis court. This is a gated community in Harbor Isle Estates. The home is a five bedroom, four full and two half baths. The home has a total of 12686 sq ft (5467 sq ft living area). This estate is a great place for your family and your guests. The rooms are spacious and the grounds are groomed to perfection. You can check out more photos of this home, along with a virtual tour, on my webpage. The views of the Caloosahatchee River are spectacular. The river leads directly to the Gulf of Mexico, Sanibel Island and the out islands. 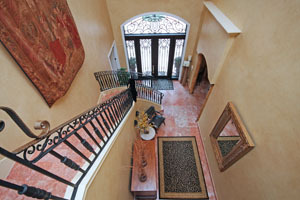 This property has an elegant foyer leading to the formal dining room and a gracious living room with a fireplace. This home has a complete gourmet kitchen, including a large refrigerator plus two refrigerated drawers, two dishwashers and a Miele Coffee/Espresso maker. There are two first floor bedrooms with private bathrooms and the second floor has two-guest bedrooms and bathroom, an office and an expansive master suite with sitting area, over sized bath, walk in closet and a balcony. The outdoor space is unsurpassed with a summer kitchen. This home is close to beaches, shopping and everything Fort Myers has to offer! This listing is something to see and might just be your Florida dream home! Give me a call, or use my contact form, for much more information about this incredible opportunity! Our "Season" is in full swing and we have a full inventory of homes, condos and homesites for sale. 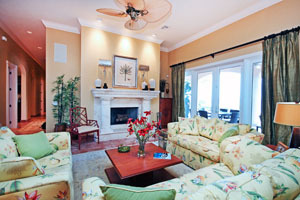 Prices are still very reasonable and it looks like Sanibel real estate is going to have a great year! It's nice to be this busy, but I always have time to do the research to find you the best possible home, condo or land to help you with your dream home!